Today’s finished quilt. One of three I spy quilts a customer brought a few days ago. The customer wanted simple panto work on it. I used the Circle Lord spiral template so my apprentice could learn how to do panto work. 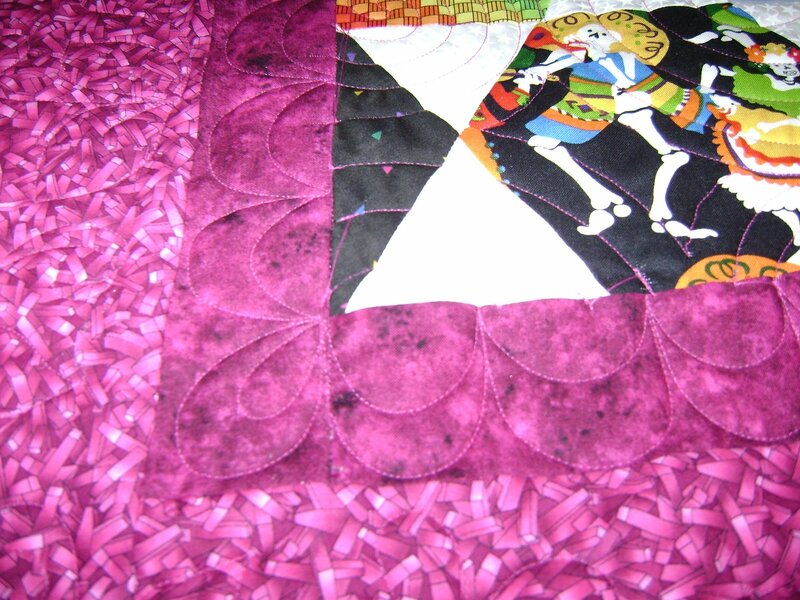 I don’t think you can see the quilting on the border because of the matching thread. I did a freehand flower and leaf meander design. I stitched a swag design on the inside border. After my apprentice left; I started loading the next quilt on the machine. I got the backing on and reached for the batting….. oops! No batting. My order hasn’t come in yet. I checked to see if I had the ones needed for the next in line. Nope, not for those either. 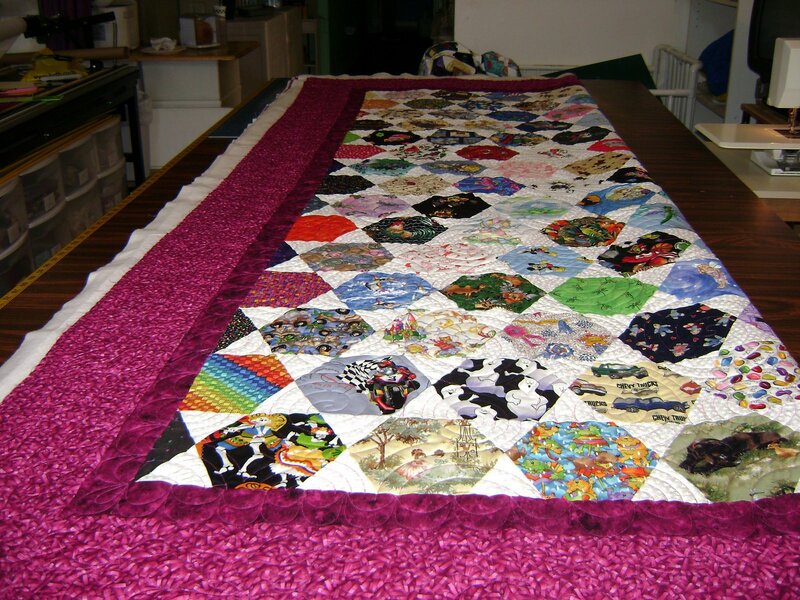 So, no quilting for customers can get done until it arrives. Now I’m kicking myself in the behind for not ordering sooner. The batting may arrive today or tomorrow. 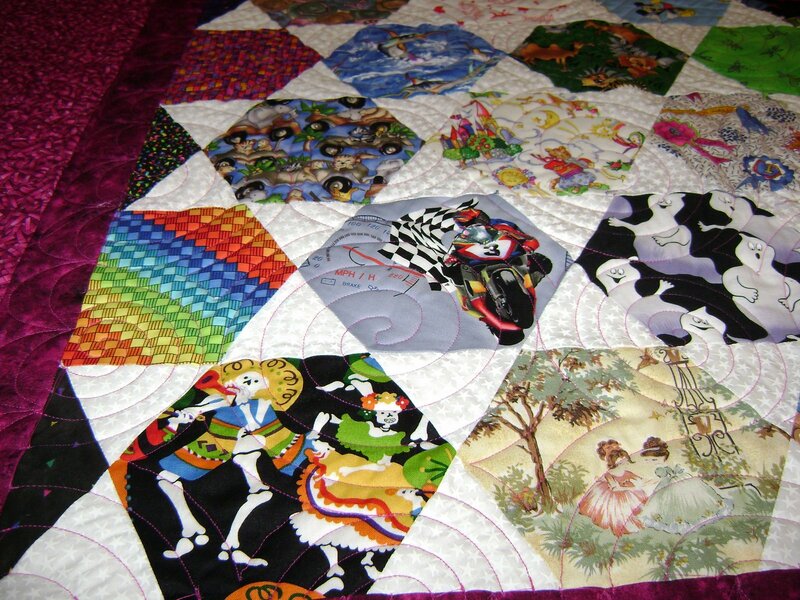 In the mean time I’m going to be working on the custom order quilts that are for Christmas. If I can get all the pieces cut and put into kits that’s a head start on the work. Hmmm….. I guess today is an in house retreat for me even if I didn’t plan it that way. 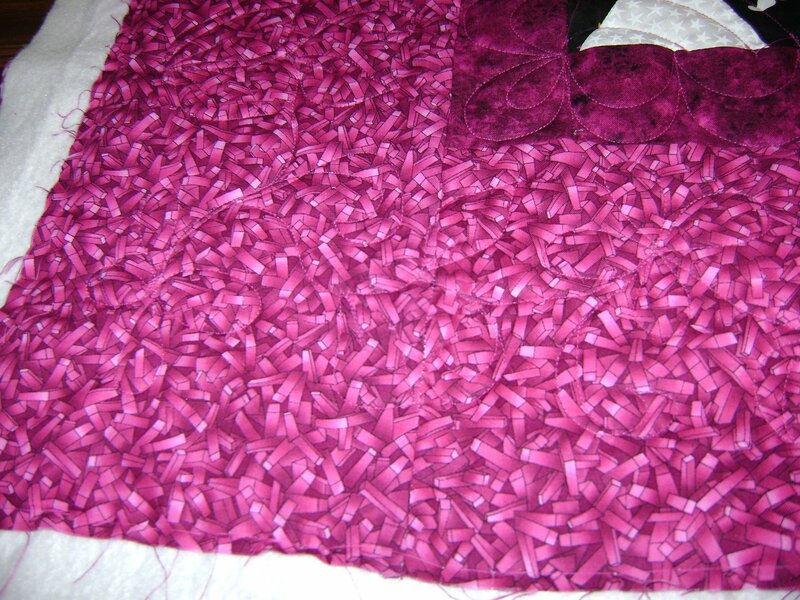 This entry was posted on August 29, 2008 by Anita in Circle Lord quilting, QUILTS - CUSTOMER.